Power outages can strike anywhere at any time, and if your home security system is not adequately prepared, you and your family could be left defenseless. The modern world has become so dependent on electricity that we often fail to even consider the consequences of a power outage – especially a lengthy one. 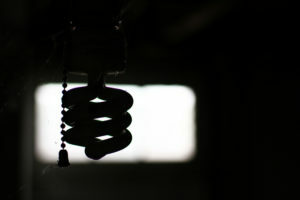 One thing that is very important to consider is the effectiveness of your home’s security system during a power outage. How many of your system’s components rely solely on electricity in order to function? While electricity is crucial for many security system components, there are steps you can take to ensure that your home remains secure even during an outage. Keep reading to find out how to ensure effective home security even during a power outage. Take the time to audit your current security system. Take stock of your home’s current security measures, and make notes of things that could be improved. If, for example, you have fail safe locks that unlock automatically during a power outage, you may want to consider switching to fail secure locks that lock when the power goes out. When choosing components for home security systems, many homeowners fail to look for ones with backup power capabilities. Devices with backup power are becoming increasingly common, and it is possible to find smart locks, door sensors, security cameras and even monitored security systems that are capable of running for a certain period of time after the power goes out. Many homeowners invest in state-of-the-art cameras and other security equipment and don’t bother purchasing good locks or even keeping their windows closed at night. High-end security equipment is great, but are you protected if the power goes out and that equipment no longer works? Balance your security measures to make sure you have some old-fashioned equipment that keeps you safe even if the lights are out. Investing in a generator is a good way to make sure your security system will stay up and running even during an extended power outage. Of course, that is only true if you have the fuel to keep the generator running. Generators come in all sizes, so whether you want one to solely power your security system or you are in the market for something that will power your entire home, there is an option that is right for you. At Colorado Security Products, we can help you assess your current security system to determine whether you and your family will be adequately protected during a power outage. We are also here to make product recommendations to help you build a more balanced system with components that have backup power capabilities and those that do not require electricity. To learn more, contact us today by calling 303-756-1000.